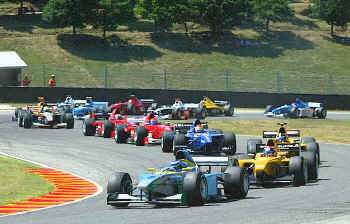 The Mugello circuit race track is one of the best-known Formula One test race tracks in Italy. It was originally a road circuit and the first motor race here was held in 1914. After WW I, it became a 66 km dirt track that went from Scarperia uphill to Firenzuola and then through the Futa Pass downhill to San Piero and Scarperia again. Among the legendary names linked to this track are Campari, Brilli Peri, Enzo Ferrari (who won in 1921 in an Alfa Romeo class 4.500), Ascari, Borzacchini and Emilio Materassi. The Mugello race track runs 5.245 km through forests and open country, with 15 turns and a long straight (total of turns and straight are almost equal), and the higher areas along the track allow for excellent viewing. Grand Prix motorcycle racing host an annual event here (MotoGP and smaller classes). 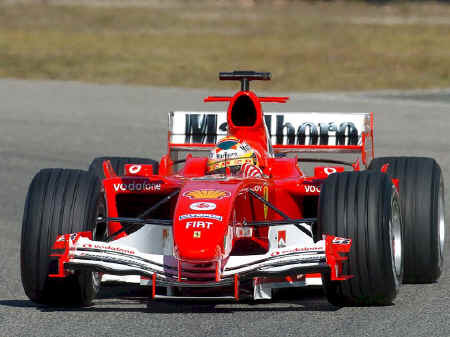 The track is used by Formula One (mainly Scuderia Ferrari) for testing. Its long straight, its chicane and its ups and downs make it particularly suitable for all kind of technical testing, especially for engines and aerodynamics. The Mugello circuit is located 37 km from Florence. The nearest airport is Florence's Amerigo Vespucci Airport, 35 km from the circuit. Mugello is located between Florence and Bologna, off the A1 Motorway, using the Barberino di Mugello exit. Travelling from Bologna, exit in Pian del Voglio, and drive through Bruscoli, Passo della Futa, Panna, Galliano and Scarperia. From Florence take the route 302 'Faentina' through Fiesole, Polcanto, Borgo San Lorenzo and Scarperia. Click here for a range of vacation accommodations in the Mugello area of Tuscany.